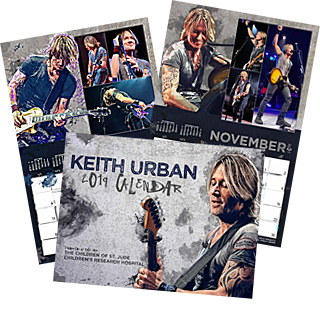 Browse: Home / Order Your 2019 Keith Urban Calendar Today! 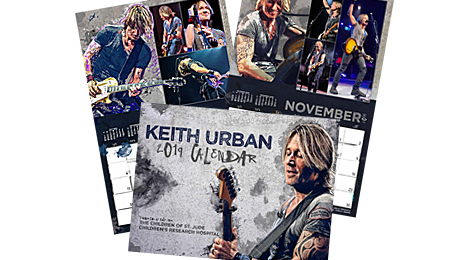 The 2019 Keith Urban Calendar to benefit St.Jude is now available! Order your calendar today and help the children of St.Jude Children’s Research Hospital. Are you planning on making more calendars. When they first came out I didn’t have the money to order one. This there an estimated date if 2019 calendars restock? Please let me know when more will be available. When will you have more 2019 calendars available? Is there anyway more 2019 calendars will be available? 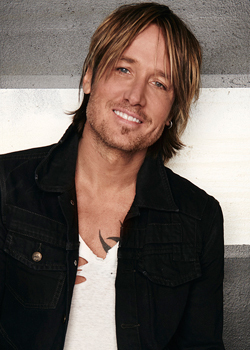 Calendars are sold out. Will there be more available at a later date? will more calendars be available at a later date? It’s saying they are sold out. Can please update me on the status of my order? Will it ship by Christmas? You may need to hit “refresh” on your browser. I can’t preorder. Only shows 2018 when click on link. No plans for a desk calendar. Just the wall calendar. When are you going to make desk calendars?